About a year ago I met a woman while working at Kamloops Naturopathic Clinic who suffered with terrible digestive issues, hypothyroidism and quite frankly, looked unhappy! No surprise really – since her doctors had told her she couldn’t lose weight and had to live with her debilitating digestive issues. 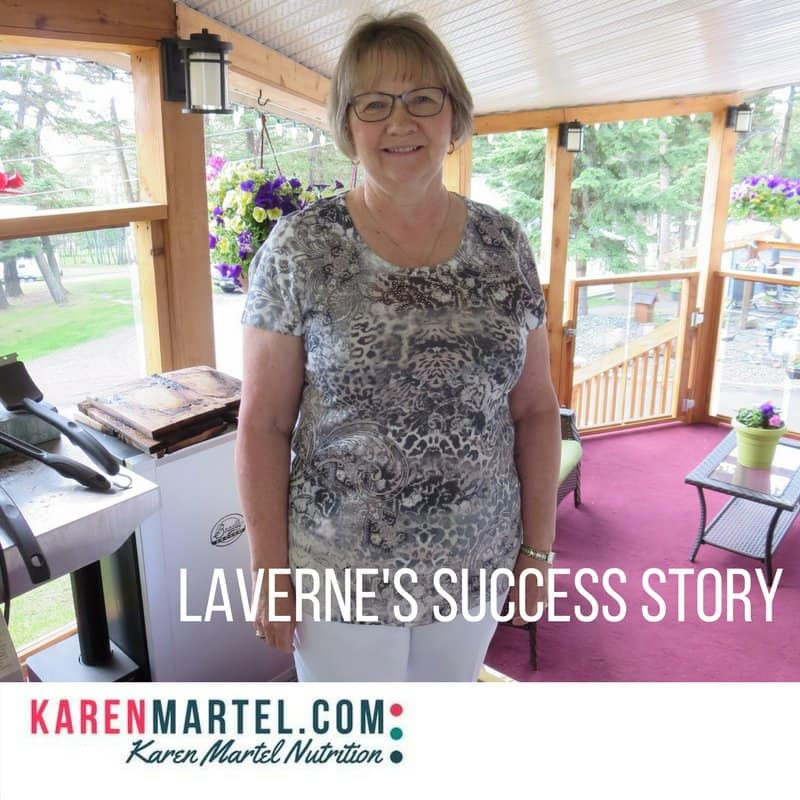 That day was the starting point of Laverne’s amazing story of taking her health into her own hands and doing the work to get her life back again! 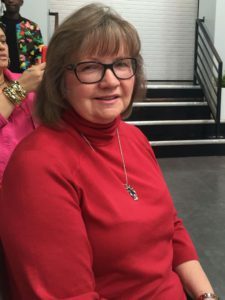 “I was suffering from serious digestive issues – stomach pain, bloating, cramping, gas, uncontrollable diarrhea at times (afraid to leave the house), as well as extreme fatigue and brain fog. I was very tired all the time. I did not go out much but whenever I did go anywhere, the first thing I did when I arrived was search out the bathroom in case I needed to run for it which would undoubtedly happen. I was thankful I was retired because this situation would have been a serious problem had I still been working. I knew I couldn’t live like this and my G.P. just said I have IBS and that he couldn’t do anything about it. I knew I had to get pro-active with my health so I searched for a naturopath. I found a good one in Kamloops who told me that having my gall bladder out about four years ago was undoubtedly the cause of most of my health issues. This was about the time when my health issues began. He also provided some supplements and tested me for food allergies and sensitivities, of which there were MANY and some very serious. He referred me to Karen and provided her with details of my health issues and food sensitivities, and together we went to work. I began eating autoimmune- paleo immediately after seeing her, at her recommendation. At first the diet seemed a little strange but I adapted quickly and easily. I had been eating mostly gluten free for many years but this new way of eating and took it to a new level. 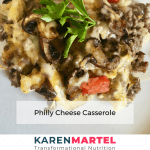 The recipes that she gave me were delicious and easy to prepare and my husband eats what I eat. He may add in a potato or extra starch but he loves the recipes too so I am not having to prepare separate meals for each of us. I know I am eating healthy and it is helping me feel great which is the goal. My visits to the bathroom are now normal and I KNOW that this way of eating has been crucial in the improvement of my heath. I have always been an avid baker of the “regular” type of pastries and desserts and have catered large events and sold my goodies at concessions. But I am now learning to bake some very yummy paleo desserts, even serving them to people who don’t eat paleo and they loved them! But I tend to reach more for the apple now than for my desserts! I am happier and just feel so much better for having discovered Karen and the support she gives. I have lost 20 pounds and I love being able to shop for smaller sizes. Woo hoo! I have more energy than I have ever had. The couch is not my best friend anymore! I get going in the morning, not like before when I was still sitting around at noon and even then found it difficult to get going. I now feel like I accomplish things in a day, not like before when I felt guilty for not getting things done and letting my housework and other chores slide. Since we are eating so much healthier, my husband and I decided to build a greenhouse this Spring and we have fresh veggies and lots of greens growing which we can’t wait to start bringing to the table! I have also recently joined Karen’s “On Track” program which is providing so much information and support. I see new information almost daily on Facebook and I love it! I like working with Karen because she passes absolutely no judgement when I go off the rails. She is extremely well educated and knowledgeable in nutrition and she is able to make recommendations for supplements and also alternative foods when I may not like something. I believe I follow the diet very well, but I have to admit that I am not always 100% faithful to it due to social gatherings and temptation getting in the way but for the most part, I can honestly say I follow this plan 80/20, which I think is reasonable. The little bit of cheating that happens on special occasions does not effect me in any great way and if I do react to something I have eaten, I know for next time to limit my intake or avoid it altogether. She also responds very quickly to questions and she is easy to talk to and mostly definitely easy to work with. I have tried every diet on the planet! From calorie counting to point counting (both were too much work and left me feeling deprived), to a doctor supported limited calorie diet when I lost 45 pounds in 4-1/2 months. The weight loss was not sustainable because no one can continue a 900 calorie per day diet indefinitely. The weight began to return about a year later and I gained even more than I lost. I don’t look at Karen’s “diet” as a weight loss program but more of a healthy eating lifestyle that will heal your gut and improve your overall health. The weight loss is just a nice side effect. I know I will lose more weight over time. And following an 80/20 philosophy allows for the odd treat now and then without the guilt. I think one of the most important things is knowing that Karen has my back. She is there when I need her, providing attention and answers when they are required. I know she works very hard behind the scenes, looking out for us and putting in hours of preparation for our next week of meal planning, recipes, ongoing Q&A’s, videos, etc. Even if someone just wants individual help with an issue, she can offer that too. I just want to THANK YOU! I don’t know what I would have done if I hadn’t found you. My life was hell and I know that I am now living a life I could not have even thought of 4 years ago. I should mention that one of my daughters wrote me a letter about three years ago, urging me to do something about my weight and my health because she “wanted me around” to enjoy my grandchildren. She is so pleased to see my progress. Since I am feeling great, I am eager to spend more time outside and even help with the gardening. I have been an avid golfer all my life and I can now have a relaxing game without any worries of having to “run”. I can go shopping without any worries. I can take a day trip or travel without any worries. Sheer peace! Thank YOU! I had the great pleasure of seeing Laverne again a few months ago and she looked like a completely different person from our initial meeting. Her skin was glowing, she had light in her eyes and a big smile on her face. 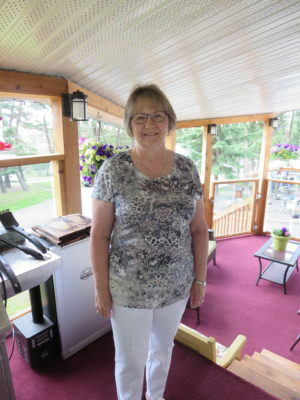 She has continued to work on her health and understands it’s an ongoing journey but she is proof that diet can make all the difference in how you feel from day to day and how you plan to live your life. Congratulations on reclaiming your life and thank you for the opportunity to work with you, Laverne! 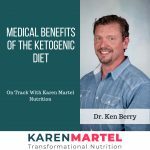 Interview with Dr. Ken Berry. Medical Benefits of the Ketogenic Diet. An awesome team success storey! I’m impressed with Laverne’s resolve to make her health a lifelong priority. Good work Karen and Laverne! Karen I love following what you are up to!!! You look incredible and your passion is palpable. Love I!! That’s fantastic! Loved your story – very motivating! !